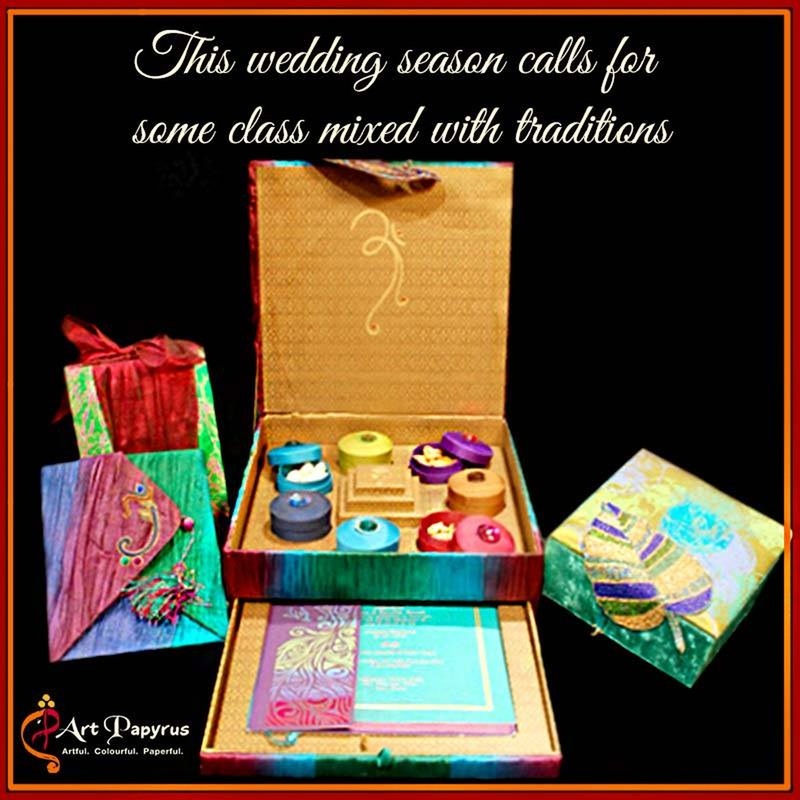 Art Papyrus, Delhi, is the creative enterprise born out of more than two decades of expertise in the international arena with world retail leaders and designers, which gives us a design edge and keeps us on top of the latest trends, comes from Savina ' the proud owner '... 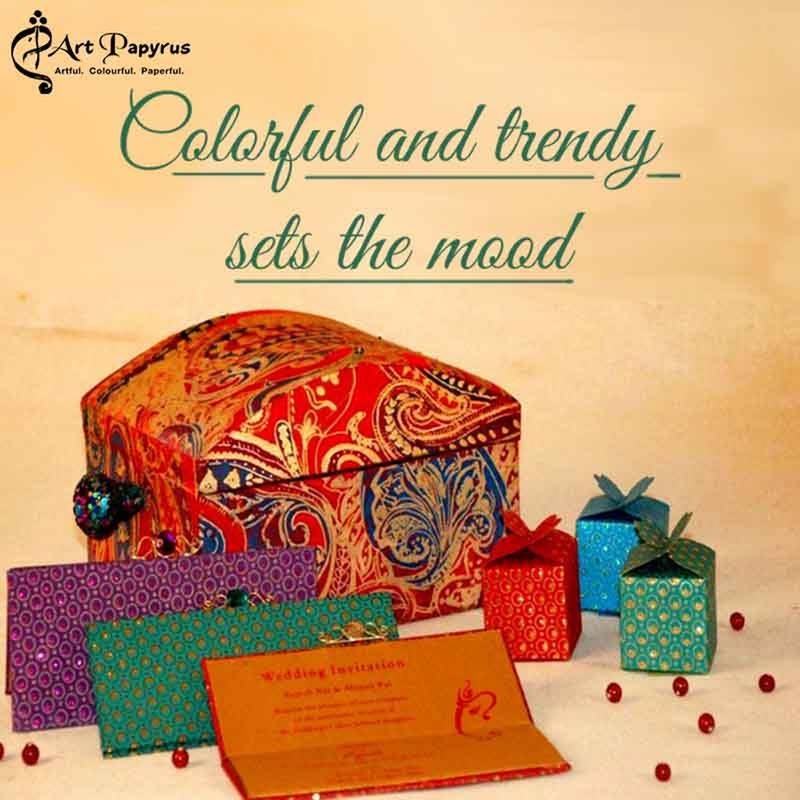 Here you will find unlimited options for gifting, exclusive papers for wrapping and crafts, gift bags, boxes for various needs & occasions, unique wedding invites, kid's party solutions, gift trays-baskets and a lot more. They are proud to make high quality 100% made in India & eco friendly products! 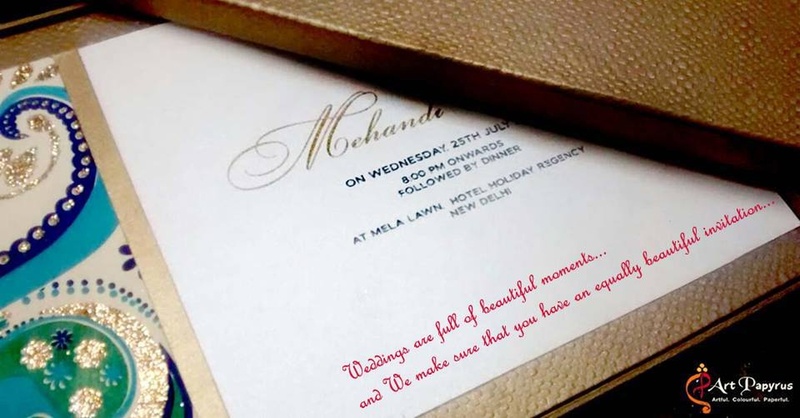 Art Papyrus is a invitation card based out of Delhi . Art Papyrus's telephone number is 76-66-77-88-99, address is New Delhi, Delhi 110048, India. 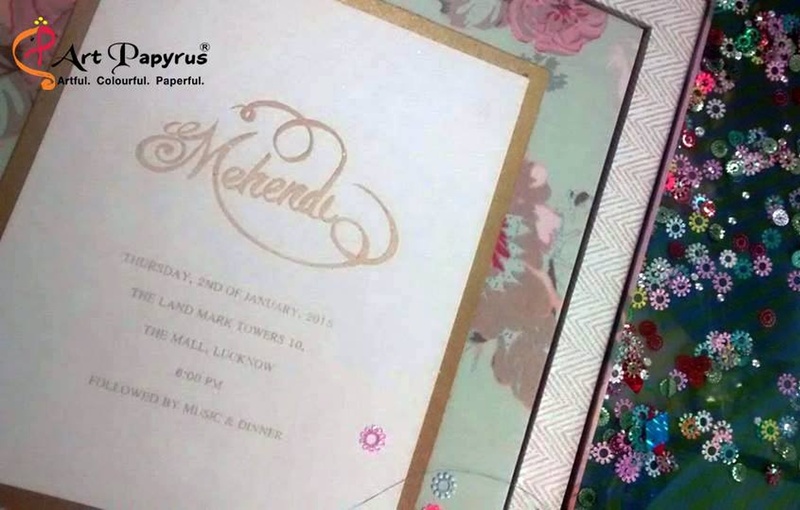 Art Papyrus is mainly known for Wedding Invitation Cards, Wedding Cards, Designer Wedding Cards, Marriage Cards.. In terms of pricing Art Papyrus offers various packages starting at Rs 40000/-. There are 1 albums here at Weddingz -- suggest you have a look. Call weddingz.in to book Art Papyrus at guaranteed prices and with peace of mind.